ABU DHABI, 15th April, 2019 (WAM) -- Abu Dhabi Quality and Conformity Council (QCC) has recalled 32 products and ordered corrective action against six others for non-compliance during its inspections for controlled products, measurement scales and pre-packaged products in Abu Dhabi’s markets. 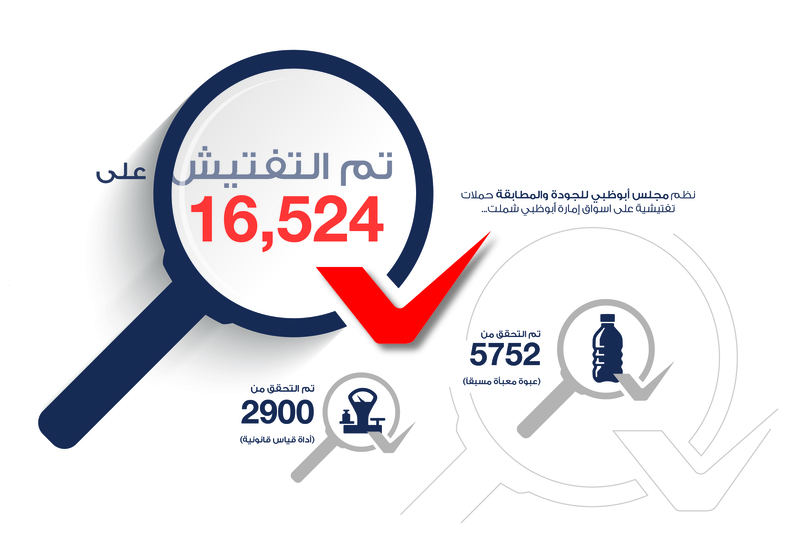 The entity responsible for developing the quality infrastructure in the Emirate, has announced the results of its inspections carried out from 1st January to the end of March, (Q1) 2019. During the inspection 16,524 samples of various controlled products were inspected, including toys, electrical appliances, tires, tobacco products and household cleaning products. The QCC took corrective action on six products with a total of 2,108 units, and recalled a further 32 products with a total of 4,120 units for non-compliance to quality and safety requirements. Within the authorisation agreement signed by the Council and the Emirates Authority for Standardisation and Metrology, ESMA, the QCC also verified the accuracy of 2,900 legal measuring instruments and the accuracy of packaged quantity labeling for 5,752 pre-packaged units of 179 food products from factories, suppliers and markets in Abu Dhabi. The measuring instruments included retail scales, jewelry and precious metal scales, oud and Arabian perfume scales, weighing platforms, trade shipping scales, and fuel-pump meters at ADNOC Distribution service stations. All non-compliant measurement scales were withdrawn from use until maintenance and re-verification took place in order to ensure compliance with all mandatory requirements according to the regulations for each scale. Commenting on the quarterly report, Khalaf Al Mazrouei, Executive Director of Consumer and Market Services at QCC, said, "These inspections are in line with the ongoing efforts of the Council to achieve its vision of developing the quality infrastructure and complement the emirate's ability to excel at a global level, while promoting the culture of quality, industrial development, competitiveness and consumer safety as part of Abu Dhabi's plan to build a sustainable and globally competitive economy." 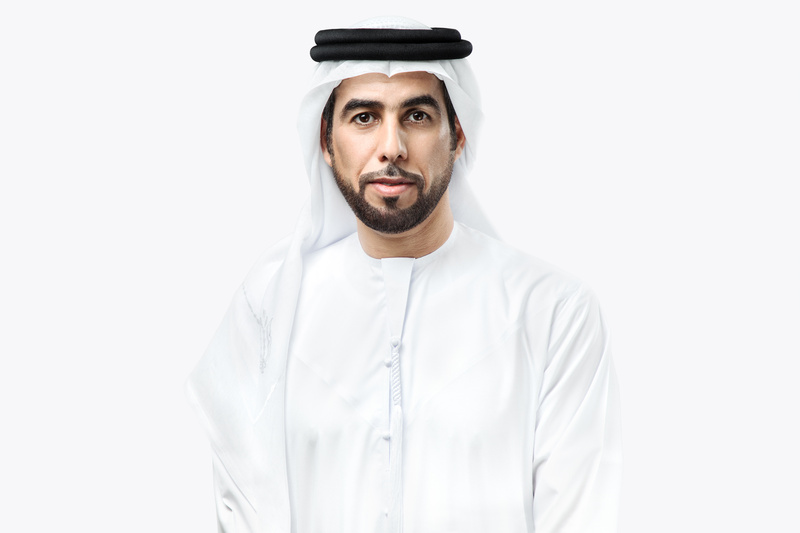 Al Mazrouei highlighted the fact that QCC has specialised technical teams and inspectors with the rights of judicial seizure who carry out daily verification of measurement scales and pre-packaged products. "QCC works to establish transparency within the Abu Dhabi market and takes into account the interests of both consumers and vendors. The Council also works on ensuring the accuracy of legal measurement instruments such as scales and fuel meters, the quantity of pre-packaged products, and their conformity with both local and international standards. The Council ensures that all scales have the gold verification mark, ‘Verified’, which means they have successfully passed the verification process," he said. The Council encourages companies and employees in the industrial and commercial sectors to apply for the ‘AD Trustmark’, which promotes the trust of customers in the products. It also contributes to the Council's efforts to establish Abu Dhabi Emirate as a world-class investment destination with a quality infrastructure. QCC is the first Government entity in Abu Dhabi to be accredited with the International Standard ISO/IEC 17020:2012 in measurement scales verification. The inspections carried out included checks on various home electronic appliances such as air conditioners, refrigerators and washing machines; kitchen appliances including electric kettles, deep fryers, grills and ovens, as well as personal care products such as electric shavers, among others. QCC inspectors verified the compliance of the products with international quality and safety standards as well as technical specifications. They also checked whether the appliances held the Emirates Conformity Assessment Scheme, ECAS, certificate issued by ESMA. In addition, requirements stipulate that all electrical home appliances should be fitted with a 3-pin plug, and energy-intensive devices such as air conditioners, refrigerators, washing machines and dryers must carry the energy efficiency label from ESMA to indicate their energy efficiency rating. The more ‘stars’ the appliance has, the more energy-efficient it is considered to be. QCC Inspectors issue warnings to outlets retailing non-compliant products and temporarily withdraw them from circulation until corrective measures are adopted to ensure conformance, before allowing them to resume sales. QCC inspectors visited a number of factories and commercial entities to check pre-packaged products. They verified 5,752 samples of 179 different products, including locally manufactured and imported food products, detergents and personal care products. The Council has urged consumers to look for the gold verification marks on scales and fuel-pump meters before making any purchases and to report the use of instruments that have a red seal, indicating non-compliance, to the Abu Dhabi Government Contact Centre on 800 555.